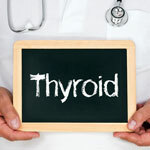 By a News Reporter-Staff News Editor at Health & Medicine Week -- Investigators discuss new findings in Thyroid Diseases and Conditions. According to news reporting from Tehran, Iran, by NewsRx journalists, research stated, "Autoimmune thyroid diseases (ATD) are multifactorial conditions that result from genetic predisposition in combination with environmental risk factors. Helicobacter pylori infection as an environmental risk factor has been proposed to imitate the antigenic components of the thyroid cell membrane and may play a leading role in the onset of the autoimmune diseases, such as Hashimoto thyroiditis. The aim of this study was to investigate the association between Helicobacter pylori (HP) infection and Hashimoto's thyroiditis (HT)." The news correspondents obtained a quote from the research from the Iran University of Medical Sciences, "The participants in this case-control study included 43 patients affected by Hashimoto's thyroiditis, and 40 healthy individuals without history of autoimmune disease as the control group. Anti H Pylori jIgG and anti-TPO antibodies were determined using ELISA method. Results were considered positive when the IgG anti-H. Pylori value was higher than 30 IU/ml and the anti-TPO autoantibody value was higher than 75 IU/ml. The mean TSH level was 18.3±16.8 IU/ml for patients and 2.8±1.2 IU/ml for the control group (p <0.001). 46.5% of the patient group and 10.8% of the control group were infected with H. Pylori.The association between H. Pylori and Hashimoto's thyroiditis was statistically significant (Odds Ratio=7.2, 95%, Confidence Interval: 2.0-28.8, p<0.001). The findings show that, there is an association between HPylori and Hashimoto's thyroiditis." According to the news reporters, the research concluded: "To establish a definite correlation between them, more detailed studies with a more specialized examination and precise consideration regarding species of HPylori, genetic polymorphism of the host and investigation of environmental factors are needed." For more information on this research see: The Association of Helicobacter pylori Infection with Hashimoto's Thyroiditis. Acta Medica Iranica, 2013;51(5):293-6 (see also Thyroid Diseases and Conditions). Our news journalists report that additional information may be obtained by contacting R. Aghili, Endocrine Research Center, Institute of Endocrinology and Metabolism, Iran University of Medical Sciences, Tehran, Iran. Keywords for this news article include: Iran, Asia, Tehran, Genetics, Helicobacter pylori, Epsilonproteobacteria, Hashimoto Thyroiditis, Gram Negative Bacteria, Thyroid Diseases and Conditions.